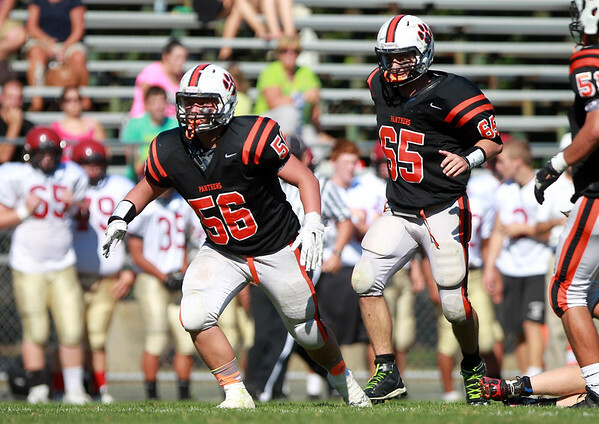 Beverly senior Jimmy Kastrinakis (56) celebrates his tackle for a loss of yards with teammate Stephen Serino (65). The Panthers pulled away in the second half, defeating the Fishermen 30-16 in NEC action on Saturday afternoon. DAVID LE/Staff photo. 9/27/14.